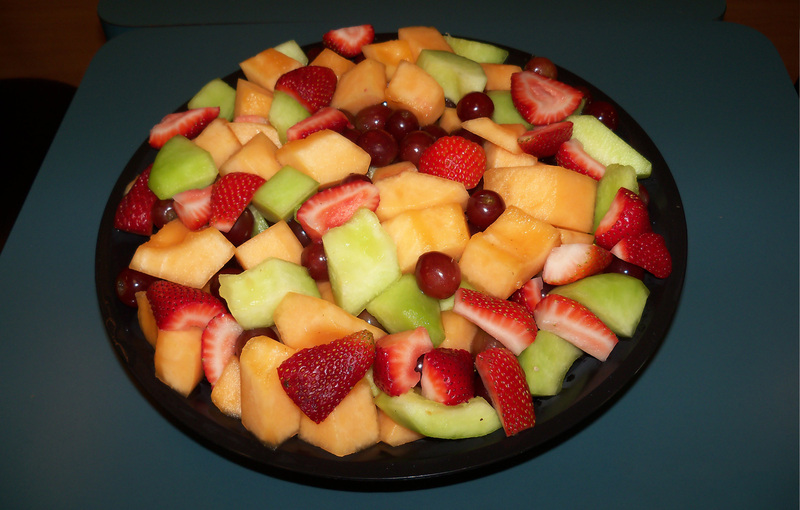 Compliment the assorted platters from Between Rounds Bakery Sandwich Café with our delicious and fresh fruit bowl. Whether you need a side dish for a morning catered conference or an afternoon client meeting, our fresh fruit bowl features delicious seasonal fruits cut and served in a large bowl that can serve 10-12 people. Including pineapple, melon, strawberries and grapes our fresh fruit bowl is a great addition to any catered event in Connecticut. Our fresh fruit bowl can be combined with our traditional breakfast platter that includes an assortment of mini Danishes, mini bagels and mini muffins arranged on a platter that includes our very own cream cheese. Or, for afternoon lunches, choose our deli platter that features fresh deli cuts including ham, turkey breast, Genoa salami, roast beef and variety of cheeses. Contact Between Rounds Bakery Sandwich Café today to learn more about our catering options and place your order today.